Be visible to the Autism Community who are looking for the products and services you offer. This year we have expanded the Exhibition over 2 floors at Cardiff City Stadium. The main Exhibition is on the 4th (top) floor, and on the 3rd floor there are the Seminars, a Support Zone and Private Rooms available for hire too. The Interactive Floor Plans and Booking Forms are below. 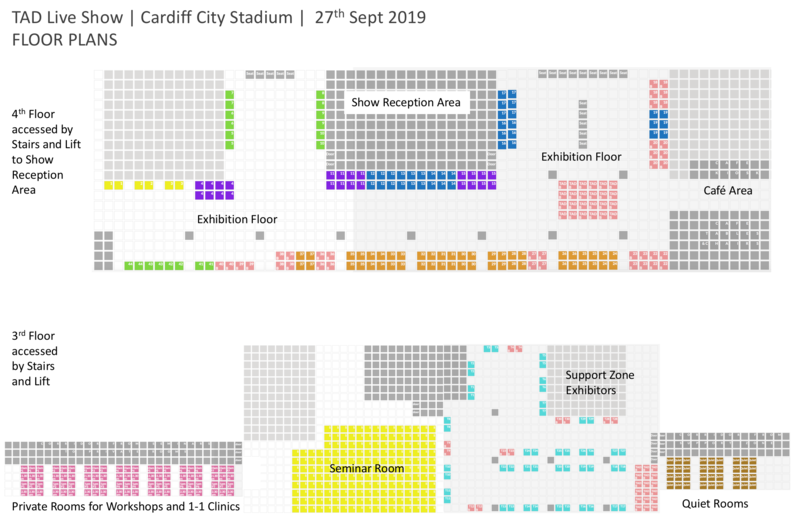 Here is an overview of the Floor Plan which you can Click on to download but it doesn’t have up to date availability – please see the interactive floor plans for that. That’s It ! Your chosen stand is booked.